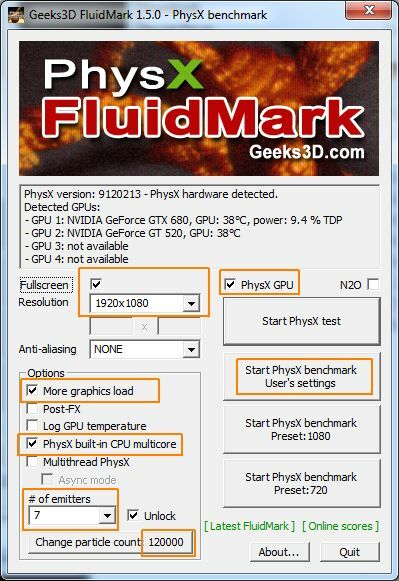 Some readers asked me how much better is the GeForce GTX 680 in PhysX compared to previous GTX 580 and GTX 480. To bring an element of answer, I quickly tested the GTX 480, GTX 580 and GTX 680 with FluidMark 1.5.0 with different settings (on H67 testbed). Graphics drivers: R301.24. 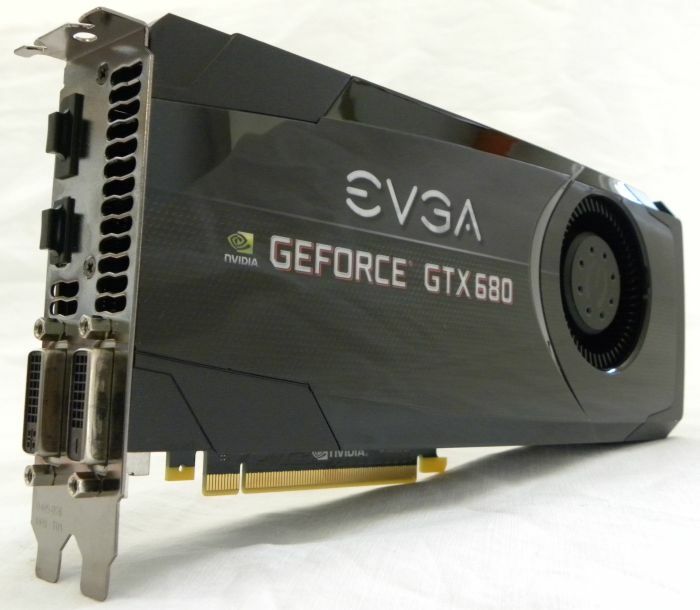 The GeForce GTX 480 is the reference card (score is 100%). GK104 in fact has a smaller pool of threads to pick from — 16K, versus 24K for GF100/110. That makes Kepler more sensitive to data locality issues for the global memory access, on top of the SW scheduling. Apparently, this is not the case in this particular compute-intensive workload. 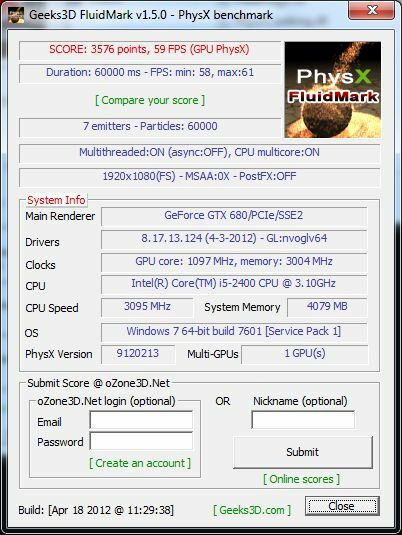 I have the GTX 480 and my scores were quite a bit higher, apart from the custom 120,000 SPH test where I got 24 FPS and 270 points. 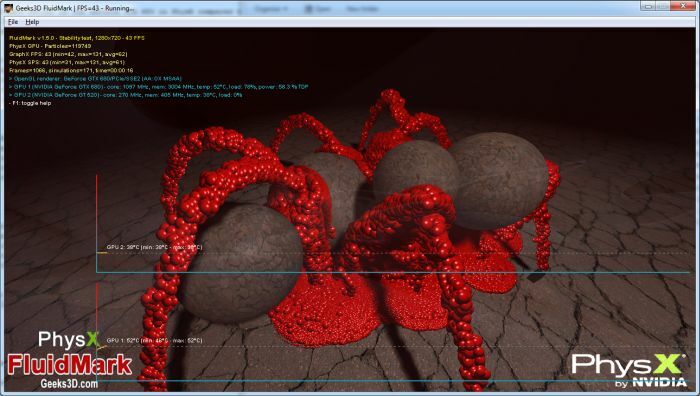 SCORE: 2547 points, 42 FPS (GPU PhysX)7 emitters – Particles: 60000. I also scored about 500 points more in Test 1 than your GTX 480.